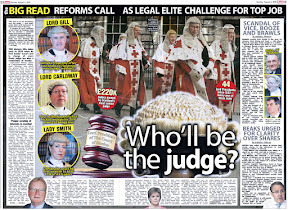 Scotland’s top judge Lord Gill is determined judges wealth & connections should remain secret. 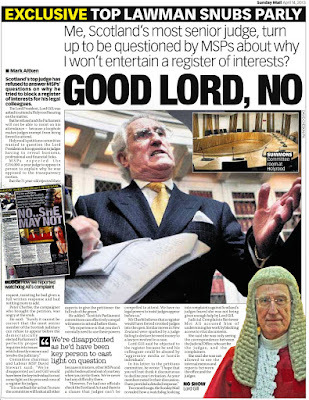 SCOTLAND’S top judge, Lord President Lord Brian Gill has again refused to attend the Scottish Parliament to answer questions from MSPs and give evidence on Petition PE1458: Register of Interests for members of Scotland's judiciary, reports the Sunday Mail newspaper on 2 June 2013. 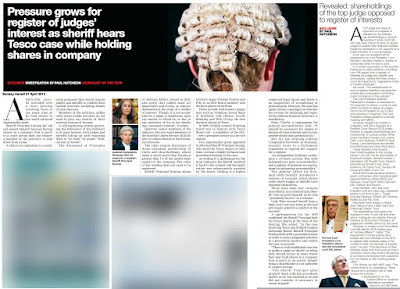 Also, the Sunday Mail’s coverage features a report of support for the register of interests proposal from the independently appointed Judicial Complaints Reviewer, Moi Ali and a must-read Sunday Mail opinion supporting transparency within the judiciary. 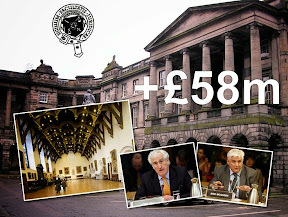 The petition, filed by law journalist Peter Cherbi at the Scottish Parliament last year, has since brought about a public discussion on judge’s secret wealth, connections, hospitality, and a complete failure by judges to recuse themselves in case after case in the Scottish courts. SCOTLAND'S top judge has snubbed MSPs for a second time after they asked him to give evidence at Holyrood. 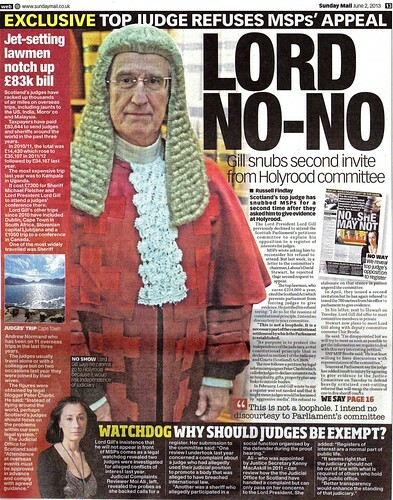 The Lord President, Lord Gill previously declined to attend the Scottish Parliament’s petitions committee to explain his opposition to a register of interests for judges. MSPs wrote asking him to reconsider his refusal to attend. But last week, in a letter to the committee’s chairman, Labour’s David Stewart, he rejected their second request to appear. The row follows a petition by legal reform campaigner Peter Cherbi which calls for judges to declare interests such as hospitality, gifts, property plus any links to outside bodies. In February, Lord Gill wrote to say a register was not needed and that it might mean judges would be harassed by “aggressive media”. His refusal to elaborate on that stance in person angered the committee. In April, they issued a second invitation but he has again refused to travel the 700 metres from his office to parliament to give evidence. Sources at Parliament say the judge has added insult to injury by agreeing to give evidence to the Justice Committee on Tuesday to defend heavily criticised cost-cutting reforms that will mean the closure of one in five sheriff courts. 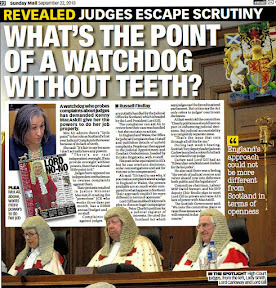 WATCHDOG WHY SHOULD JUDGES BE EXEMPT? 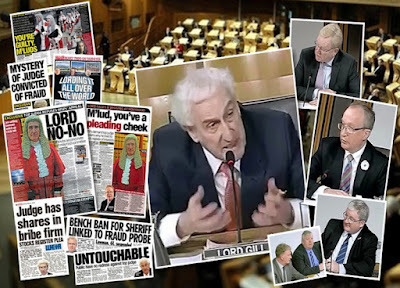 Lord Gill's insistence that he will not appear in front of MSPs comes as a legal watchdog revealed two judges were investigated for alleged conflicts of interest last year. Judicial Complaints Reviewer Moi Ali, left, revealed the probes as she backed calls for a register. Her submission to the committee said: "One review I undertook last year concerned a complaint about a judge who had allegedly used their judicial position to promote a body that was alleged to have breached international law." Another was a sheriff who allegedly participated in a social function organised by the defender during the proof hearing. 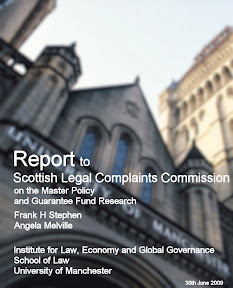 Ali - who was appointed by Justice Secretary Kenny MacAskill in 2011 - can review how the the Judicial Office for Scotland have handled a complaint but can only pass on her concerns to the Lord President. She added "Registers of interest are a normal part of public life. "It seems right that the judiciary should not be out of line with what is required of others who hold high public office. 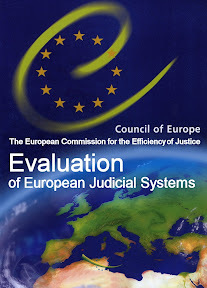 "Better transparency would enhance the standing of that judiciary." 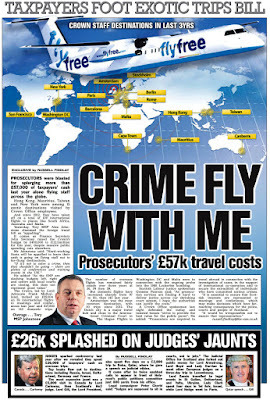 Scotland's judges have racked up thousands of air miles on overseas trips, including jaunts to the US, India, Morocco and Malaysia. 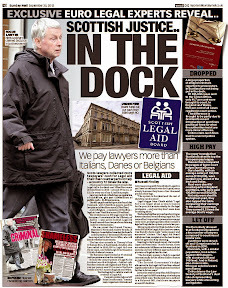 Taxpayers have paid £83,644 to send judges and sheriffs around the world in the past three years. In 2010/11, the total was £14,430 which rose to £35,107 in 2011/12 followed by £34,167 last year. The most expensive trip last year was to Kampala in Uganda. It cost £7300 for Sheriff Michael Fletcher and Lord President Lord Gill to attend a judges' conference there. Lord Gill’s other trips since 2010 have included Dublin, Cape Town in South Africa, Slovenian capital Ljubljana and a £1050 trip to a conference in Canada. One of the most widely travelled was Sheriff Andrew Normand who has been on 11 overseas trips in the last three years. The judges usually travel alone or with a colleague but on two occasions last year they were joined by their wives. The figures were obtained by legal blogger Peter Cherbi. He said: "Instead of flying around the world, perhaps Scotland's judges should focus on the problems within our own legal system." The Judicial Office for Scotland said: "Attendance at overseas events must be approved in advance and comply with agreed guidance." 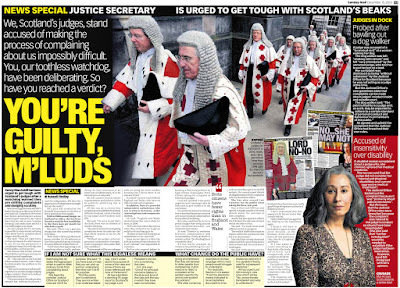 NO JUSTICE IF IT CANOT BE SEEEN : SENIOR judge's refusal to give evidence to MSPs shows a lack of transparency, says Mail Opinion. 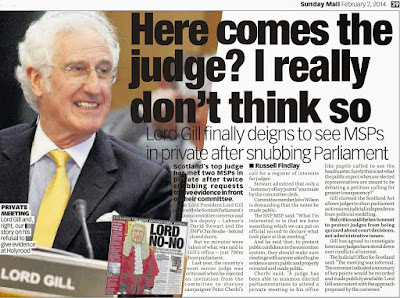 WE'RE possibly not clever enough but it is difficult to understand the terribly important point of principle Lord Gill is defending when he refuses to give evidence to our elected representatives. 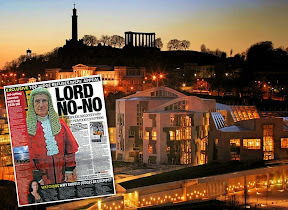 Scotland’s most senior judge insists that he cannot amble down the Royal Mile to Holyrood to appear before the petitions committee because he must maintain the crucial separation between our courts and the Government. 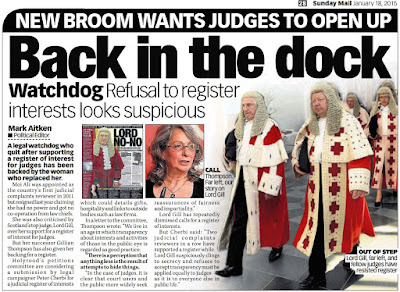 The Lord President told them that, with the greatest respect, MSPs cannot compel a judge to appear. This is not a legal loophole, he said, but a vital bulwark of our democracy. Fine. We get it. But they are not compelling him to appear. They did not issue an order but an invitation. 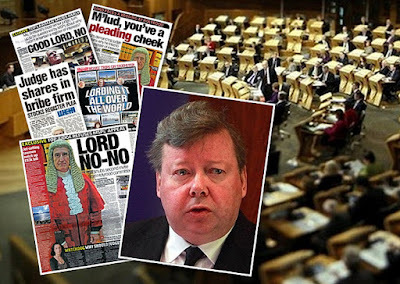 Since he has apparently agreed to appear in front of the justice committee on Tuesday to discuss the closure of a fifth of our sheriff courts, we must assume that he is picking and choosing which MSPs might be given his valuable time. 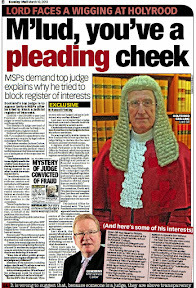 You could be forgiven for suspecting that he believes MSPs scrutinising the calls for judges to register their interests are wasting their time – and is not allowing them to waste his. Fair enough but his disinclination to pitch up before the people who represent the people who pay his £214,000-a-year salary might look a little high-handed and disrespectful. It might and, to be honest, it does. This wasn’t an ambush. It was an opportunity for Scotland’s top judge to go to Parliament and talk about how our legal system works and might work better. It would have added, as the public relations executives and politicians like to say, a little transparency. It was a window of opportunity that Lord Gill politely, but very firmly, nailed shut. 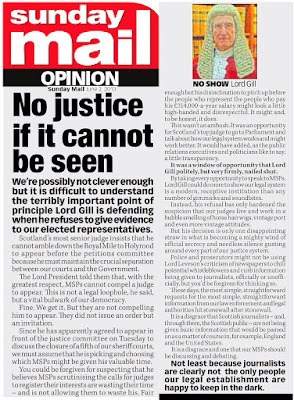 By taking every opportunity to speak to MSPs, Lord Gill could do more to show our legal system is a modern, receptive institution than any number of gimmicks and sound bites. Instead, his refusal has only hardened the suspicion that our judges live and work in a bubble smelling of horse hair wigs, vintage port and even more vintage attitudes. But his decision is only one disappointing straw in what is becoming a mighty wind of official secrecy and needless silence gusting around every part of our justice system. Police and prosecutors might not be using Lord Leveson’s criticism of newspapers to chill potential whistle-blowers and curb information being given to journalists, officially or unofficially, but you’d be forgiven for thinking so. These days, the most simple, straightforward requests for the most simple, straightforward information from our law enforcement and legal authorities hit stonewall after stonewall. 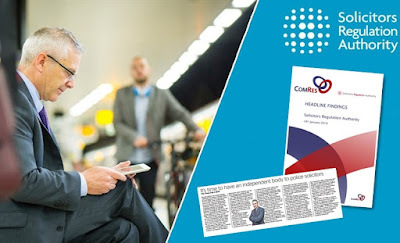 It is a disgrace that Scottish journalists – and, through them, the Scottish public – are not being given basic information that would be passed on as a matter of course in, for example, England and the United States. It is a disgrace and one that our MSPs should be discussing and debating. 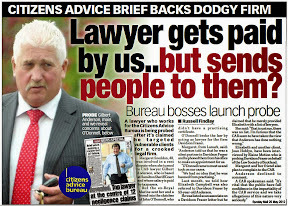 Not least because journalists are clearly not the only people our legal establishment are happy to keep in the dark. wow ! Great reporting by the Sunday Mail!!! This judge isn't half making a bloody fool of himself and his pals on the bench - there must be a lot to hide and I bet it goes far back too! but he would be LORD YES YES YES if someone said he was getting a pay rise or another flight to Taiwan! 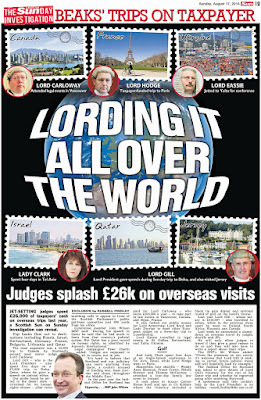 Any info yet on why Lord Gill likes to travel so much to the far east?Surely we have the right to know because he is supposed to be our top judge even if he hates the idea of openness of course..
Glad to see at least one national newspaper is reporting the unhappy state of things as they are, and have been for decades. But why no coverage by STV and the BBC?? In view of what is being discussed here I do not approve of these secret meetings between the judiciary and msps over questions about the judiciary's vested interests. Whatever transpires at that meeting between Gill and the MSPs there should be notes taken and then published on the Scottish Parliament's website so we can all see what has been said between a judge who is deadly against openness and those who are fighting for it. 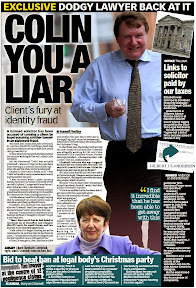 Good work keep it up fantastic law blogger Mr Cherbi and the Sunday Mail! The judges usually travel alone or with a colleague but on two occasions last year they were joined by their wives. 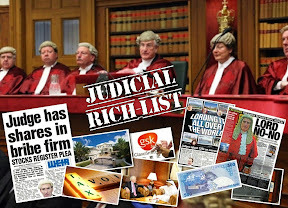 At taxpayers expense ?Why is this allowed to happen and anyway why are the judges flying all over the place when as you said in the paper they should be concentrating on their job we pay them to do as a judge in our justice system not somewhere else! agree with all said so far although however this usage of the Scotland Act to get judges off the hook is disgusting.We need transparency in a new Scotland not these old and very obvious unionists in wigs controlling what our parliament can or cannot do. For BBC to pick up on this it would have to be top judge in Syria tells Assad to get stuffed.Also strong possibility the Law Society will call them up say dont report it. STV has too many ads so not worth watching anyway. And dont laugh at my comment either because I read a comment from someone who said in the 30 years of bbc watchdog there was never a crooked lawyer on the programme so there must be something up big time with the beeb about covering dodgy dealings in the legal system for some reason. But why no coverage by STV and the BBC?? Like medicine and law there are Masonic Links. They run the show. So, let me get this right? 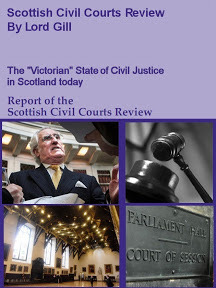 When the Scottish courts are clogging up because of the amount of cases, there are Scottish Judges and Sheriff's being flown far and wide at the expense of the public, when they old be DOING THEIR BLOODY JOB & WORKING TO REDUCE THE BACKLOG? What class of flight ticket were they flying on? Who do the judges have to ask to verify if their international flight hobby is to be allowed? Did the wives pay for their ticket, what class of flight ticket did they use? What else has being going on behind the backs of the Scottish People that they are so deparate to conceal in a shroud of secrecy? And the best is yet to out? 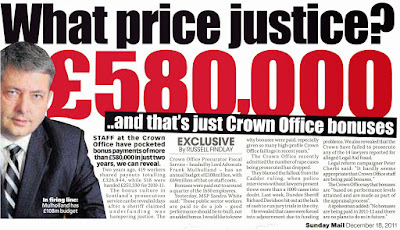 Whilst sitting sipping champagne toasting their success (if you can get it) the Scottish People are stumping up £1,000.00 per day for them to be clocking up their air miles? The next we will know is that these judges have been handed out a Gold Card credit card to add perquisites like this tax free to supplement their meagre subsistence? Or is this just supposed to convince us that this is an oversight? 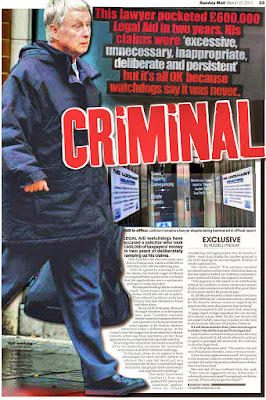 Why is this scandal not being picked up by the mainstream media news agencies, the BBC & STV. 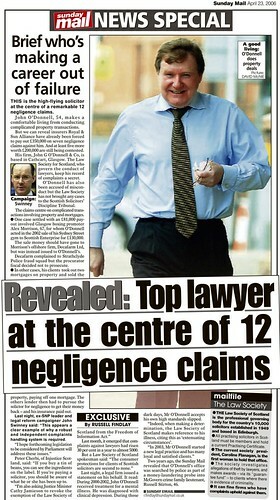 Could this be due to the issuing of 'D' Notices in an attempt to limit the damage that Lord Gill has talked himself into? What on earth has a foreign Judges conference got to do with their job? Get back to work and try to at least look like you are trying to justify your exorbitant & over inflated salary? 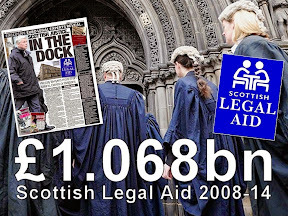 Come to think of it......Scottish judges are the highest paid in Britain, what are they doing for the reducing the impact of the recession? Has their pay been frozen? 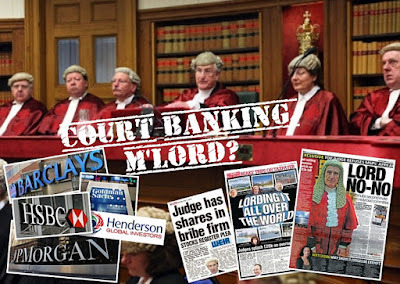 All judges everywhere should be made to reveal their interests this should be in operation around the world! 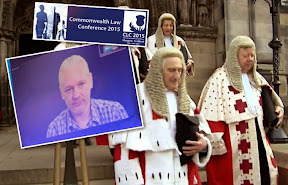 So the lobbyist scandal in London is going to get laws by July so why cant the Scottish Parliament just go ahead and do the same to these judges who are in it up to their necks with vested interests and the same fiddles as the politicians who wanted the money on the secret footage on the news! Legislation to introduce a statutory register of lobbyists will be published in the next couple of months, Downing Street has said. No 10 said it would also include proposed reforms to party funding and changes to trade union rules. The BBC's Norman Smith said this would be politically contentious and could make it harder to get agreement. It comes after three peers and an MP were accused of agreeing to do parliamentary work for payment. 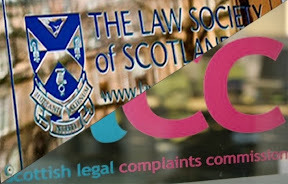 Lord Cunningham, Lord Mackenzie of Framwellgate and Lord Laird, and MP Patrick Mercer all deny wrong-doing and their cases are being investigated by standards watchdogs. The coalition pledged to introduce a statutory register of lobbyists when it came to power in 2010 but critics have accused the government of inaction over the issue. Following the latest revelations, No 10 said it would bring forward a bill before the end of July. As well as plans for a statutory register, Downing Street said it would include measures to end self-certification of trade union membership and reform third-party funding of election campaigns. These are likely to be controversial as the unions are large financial backers of Labour. Gill has utter contempt for the people of Scotland. 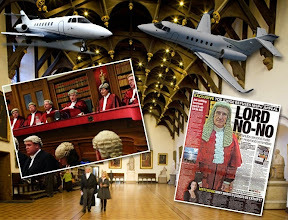 Flights abroad, all expenses paid (out of the taxpayers pocket) - could this be part of the reason for the 'obscene delays' regularly suffered by the Scottish Public when seeking access to the Courts, and identified by Lord Gill in his now infamous Civil Justice review? Ask China - I am sure they will be watching this judge like a hawk now. I too wonder about all these trips. I hope our judges are not meddling in the affairs of other countries and trying to pollute their justice systems like ours has been run into the ground by this gang of control freaks. Strange he can fly all over the world yet refuses to pitch up at the parly and answer questions about his judicial connections etc and then he offers a meeting behind closed doors.You couldn't make this up really it is shocking and high time the Scottish parliament acts to do something and make the petition law. Well all I have to say is your judges have no credibility left after reading of what they are trying to do to your register of interests. Very good and just the kind of innovation I'd expect from a scotsman.Keep it up mate! Yes I agree this register of interests for judges is a great idea and as the other comment said should be standard in any court. 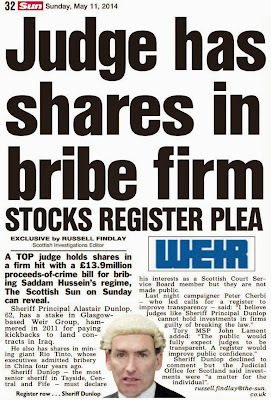 More proof a faction who cannot be prosecuted for their corruption rule and control Scotland. I can see myself saying the Lord Gill in Court, oh I don't want you to know about my interests, I would end up in the cells. But he can say this to the Scottish people [represented by their MSP's] and that is fine. A sinister sick group of self service crooks. Very good and after reading this it is easy to conclude no judge who is so against a simple matter of transparency can ever be trusted again. 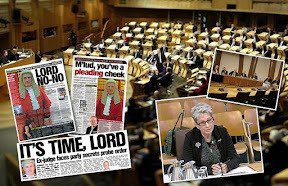 Independence of the judiciary allows a judge to be a crook and accountable to no one.How dare the head of the judiciary insult our Scottish Parliament like this - we elect our msps not the judges who must be called to account! 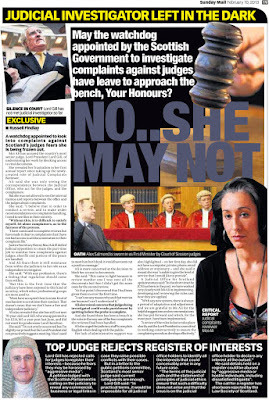 So you must be in the right then if the judicial complaints investigator is saying she backs a register of interests too.Honestly I always thought this happened anyway but now after reading all your articles on this petition and the Sunday Mail we definitely need a register of interests for all the judges pronto! 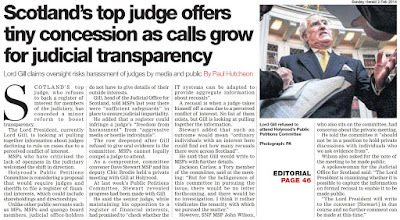 The Sunday Mail article hits the nail right on the head about transparency and how the media are being treated by the legal system who appear to prefer secrecy to openness like most other countries. It is time for a big change from the top down particularly in the case of a Chief Justice who stumbles and prevarricates when he is asked about his and his colleagues vested interests. 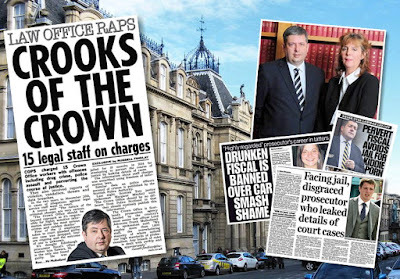 It is simply a matter of judgment......it is blatantly obvious that secrecy has nothing whatever to do with Justice in Scotland? 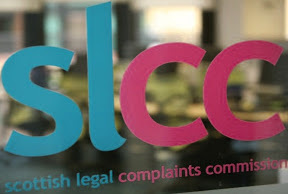 Yes, very telling the lack of any news about this on television however last night on Reporting Scotland I saw they were keen enough to cover the lawyers striking because they are worried the closing courts will affect their business as in MONEY. This is exactly what happened to my medical negligence case and the judge who did not declare an interest my solicitor told me he had.You will be able to guess the outcome - we lost in court but now I will make a complaint about it all. This is a massive scandal? Why is this not blazoned across the newspapers and on every news bulletin? 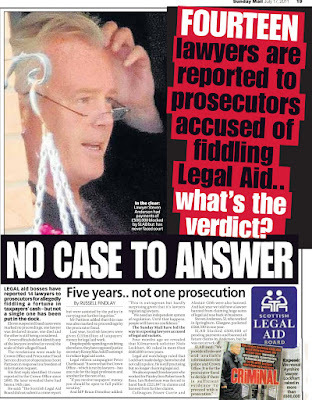 Is it because we all know that the Scottish Judiciary has been hopelessly corrupt for decades and that this latest National Scandal is treated by the Scottish Public as the normal state of affairs? How can we as a country have a Court System where you have to GUESS whether or not the Judge/Sheriff handling your case is a crook or not and whether there is a Conflict of Interest that he is keeping secret? The core of our Society is as rotten as Hell and the rest of the World must look at our country and sympathise with what we have to put up with? As an oxymoron of a Heinekan, now becoming our slogan........SCOTLAND - PROBABLY THE MOST CORRUPT SMALL COUNTRY IN THE WORLD? 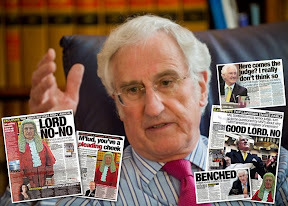 Why is it that Lord Gill has slammed the breaks on regarding his giving evidence to the Public Petition Committee? 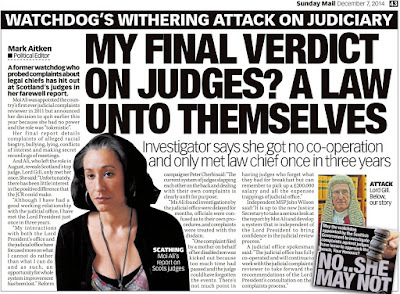 Could it be that he cannot risk a Register of Scottish Judges Interests at the moment for fear it may reveal some very disturbing goings on with some cases where if they were revealed it would bring their House of Cards falling down around them? 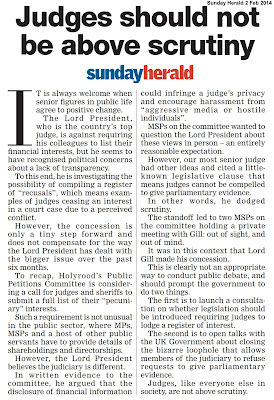 The opinion along with the article is just fantastic and puts Lord Gill and the Parliament itself to shame.Yes it is about time the politicians got on with it and acted as the judges are either playing for time while they disperse their interests or are attempting to bully the msps into submission. 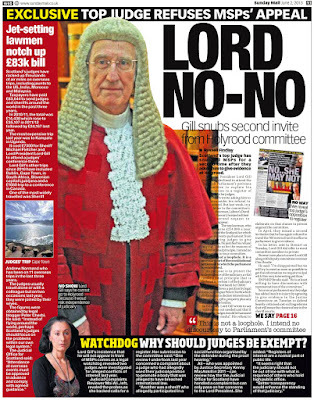 So Lord Gill is cherry picking those committess he will grace with his presence and those he deems not suitable to receive his words of wisdom on what presently passes for a civil justice system in Scotland. This begs the question; is he doing the same with the information he chooses to impart to others? This really is comedy cartoon capers! How can going to a conference on the other side of the planet be a job requirement of a Scottish Judge or Sheriff? What exactly are they learning that brings a benefit to their job to serve the Scottish People or is it just a Duty Free jolly paid for by Scots tax-payers? Whilst we have been thinking that everything is battened-down and fit for purpose, we find that this has been going on in our name in Scotland! Not some Banana Republic but SCOTLAND! These people are not acting lawfully if they do not have the trust of the Scottish People? The top lawman, who earns £214,000 a year, cited the Scotland Act which prevents parliament from forcing judges to give evidence. He justified his refusal saying: “I do so for the reasons of constitutional principle. [FINANCIAL PRINCIPLES LORD GILL AND EITHICAL PRINCIPLES, YOU YOUR OWN REPUTATION DOING THIS]I intend no discourtesy to your committee. SECRECY AND JUSTICE ARE MUTUALLY EXCLUSIVE. Why the desperate panic for secrecy now? What is going on behind the scenes now which has to be jeleously guarded? 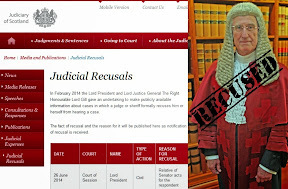 Has Lord Gill brought the Office of the Lord President into disrepute by snubbing the Public Petitions Committee's reasonable request for him to provide much needed answers to difficult questions in the Public Interest? We know that secrecy corrupts and that transparency is compatible with the Rule of Law, therefore can our system be trusted when it is based on secrecy? Who is The Lord President there to protect? 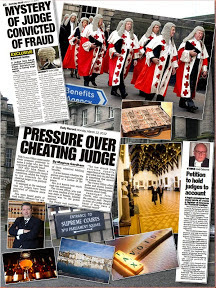 The Scottish Judicial System & the People of Scotland? 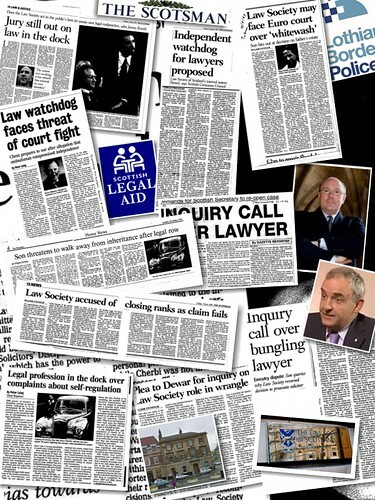 The partial vested self-interests of Scottish lawyers, Judges & Sheriffs? 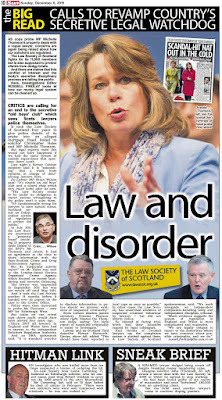 Yes indeed that opinion in the Sunday Mail is a big thumbs up for this petition and the whole issue of registers of interest of judges.As others are saying and also the newspaper it is time the parliament acted and made this law along with making a system of policing it completely independent from the judiciary and legal profession and any other vested interests. Have a feeling there are a lot of scandals going to come out of this one Peter and it'll be thanks to you and your perseverance all these years! This is what happens when someone works in a secretive profession, any excuse to avoid transparency. 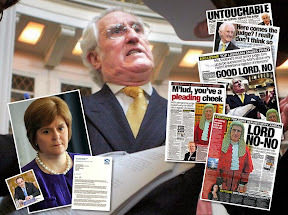 Is it not serendipity that at the same time Lord Gill is stalling and refusing to be questioned by the Scottish Public Petitions Committee, where he is refusing to disclose matters surrounding Scottish Judges conduct, that one of Scotland's top lawmen is undergoing an 'in-house' investigation by one of his peers over his conduct in Public Office and specifically regarding allegedly not declaring a potential conflict of interest during a trial which had a bearing on the outcome of the trial and calls into question the efficacy of the Scottish Court System and it's ability to act according to law? What an absurd position for a judge to take.Scotland should be ashamed of the fact it's judges end up going to war because openness comes along and they cannot answer it.Sickening. 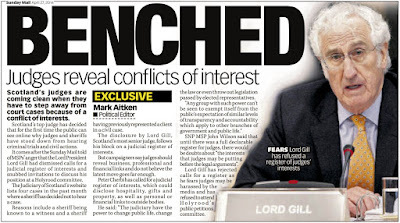 Well if anything this proves there is much to hide from Mr Gill if he is so willing to jeopardise the reputation of the judiciary just because they have been asked to declare their 'interests' and other things they do not want us to know about. 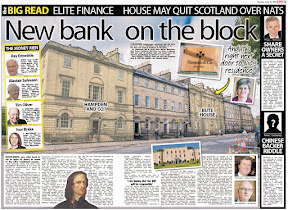 aye its easy to see power corrupts from the judges down when stories like this come out to let us know what is going on behind the scenes and paid for by us too! maybe Gill and co should open an airline since they are doing so much flying? Very powerful coverage you have on this story so I wouldn't bother too much about the bbc et all coming in and ruining it. Does this judge and the Scotland Act excuse remind anyone of the mafia shouting about the 5th in the Godfather?